A stunning array of three colors in one flowering. 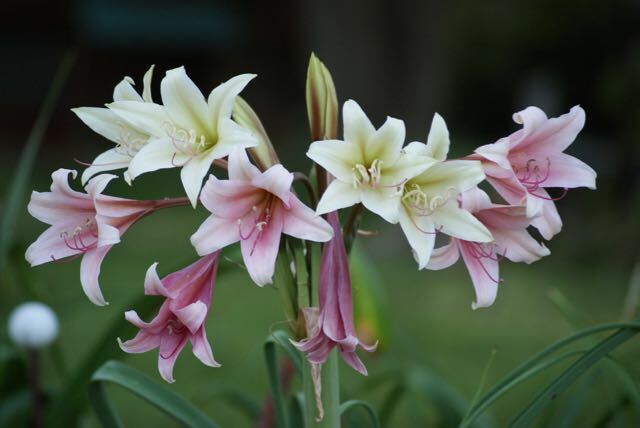 It’s a compact plant, which is perfect for small gardens. 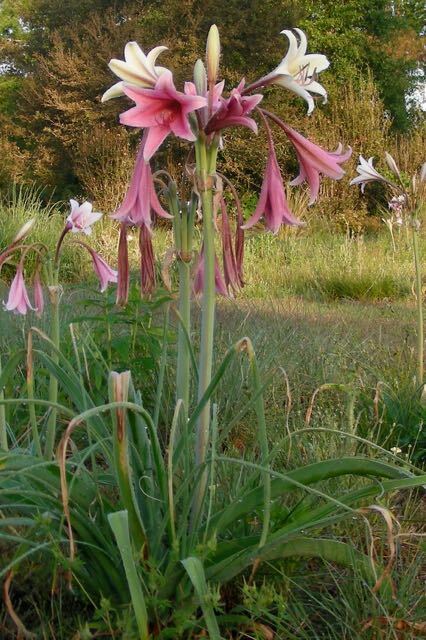 This is our own selection; we evaluated, propagated and researched ‘Aurora’ since she first flowered in our field in 2016. 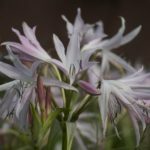 One of the most cold-hardy of crinum lilies. 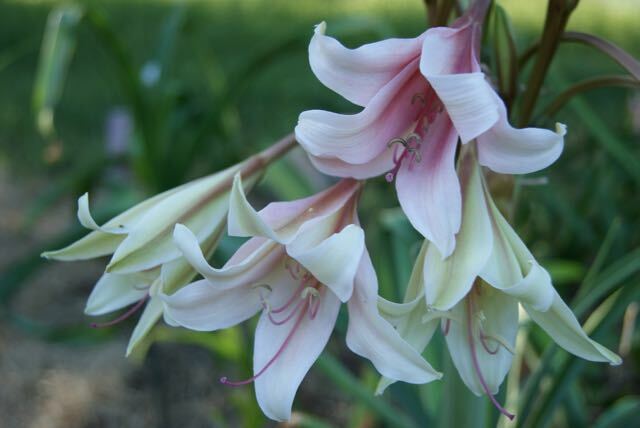 Rare and spectacular, currently grown only in a few botanical gardens and crinum collections in the United States. Growing Conditions: Best in full sun or in the deep South in very light shade. Flowers: Buds and new flowers khaki green. They change on the second day to light pink and on the third day they’re rich rose colored. Multiple flowers open so you see all colors at once! 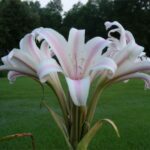 Flowering Season: In South Carolina, zone 8 flowers open in mid-April. In cooler climates, like Missouri, they bloom late into mid June. Leaves: The foliage is steel blue, curving and sculptural making a three-foot tall and three-foot wide mound. How To Plant: Find a spot in normal garden soil. This species does tolerate flooding. 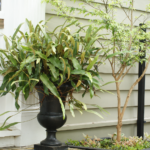 Where To Plant: This is a statement plant; a single clump in front of a dark hedge becomes a sculpture. Mix with blue perennials. Leaves spread out, so don’t plant too close to a sidewalk! Our Bulbs: We ship our normal-size bulbs, which are about tennis-ball sized. 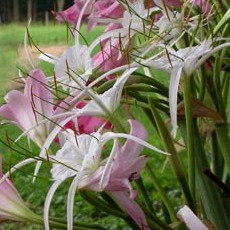 Be the first to review “Crinum bulbispermum ‘Aurora Glorialis’” Click here to cancel reply.